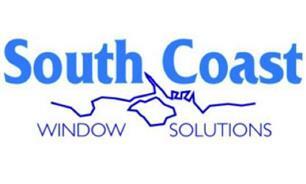 South Coast Window Solutions - Fascia/Soffits/Guttering, Windows/Doors/Conservatories based in Fareham, Hampshire. Welcome to our Checkatrade page - and we would like to extend this welcome at our showroom at 260 West Street, Fareham PO16 0HY which is only a short distance from Fareham train station. Please feel free to pop in and discuss our range of products. We are a small family run business specialising in quality UPVC and Aluminium Windows, Doors & Conservatories. We believe that the quality of our work is what really makes us stand out from the rest. We are are a small group of friendly individuals striving to put the quality and trust back into the UPVC double glazing industry. We offer a 10 year insurance backed guarantee with all our work and we are confident that our work is installed to the highest of standards. We treat every installation as if we were working on one of our own homes.